As its name suggests, SiaClassic is very closely related to Sia Coin. Created as a response to the latest SIA hard fork, Sia Classic is the last haven for Innosilicon and Bitmain Blake2b miners. Here is everything you should know about it. As you probably know, hard forks are a common way for coin developers to protect their coins from certain ASIC miners. For example, the two latest Monero hard forks made it impossible for all existing Cryptonight ASICs to continue mining XMR. Many other developers followed Monero footsteps and made their own hard forks to render their coins GPU minable only. Now, Sia hard fork was slightly different since it bricked third-party blake2b ASICs while leaving “official” Sia ASICs (namely the Obelisk SC1) operational. 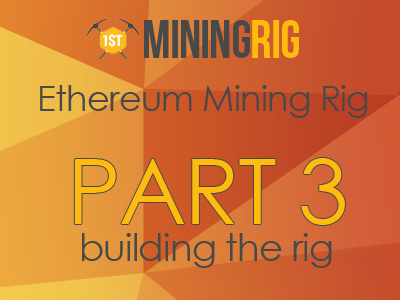 That changed SIA in many ways and I invite you to read this https://1stminingrig.com/you-will-sia-coin-survive-after-hard-fork-an-in-depth-analysis/ in case you want to know the full story. The hard fork was eventually successfully completed November 1 of 2018. This rendered thousands Antminer A3 and S11 Siamaster miners useless. In total, thousands of people have invested millions dollars in miners that are now basically doorstops. Knowing the crypto community, it’s no surprise that people have made their own blake2a alternative coin and called it SiaClassic. The “new” SiaClassic is basically the old Sia coin (the one before the fork), which means that it can be mined with Antminer A3 and S11 Siamaster ASICs. Should you Mine Sia Classic? Those of us who have our Obelisk SC1 units can now enjoy profitable mining. Those of us who have a blake2b ASIC from a different manufacturer now have to mine SiaClassic. I guess the picture is pretty clear: after the fork, Sia became 98x times easier to mine. This means that if you can mine it, go for it! Otherwise, SiaClassic is the last resort you should use to try to squeeze some dollars out of your Bitmain/Innosilicon ASIC(s). If you own an Obelisk SC1, I don’t see a reason why you should get into SiaClassic mining. Even less if you’ve got a GPU (SiaClassic can be mined with GPUs, though it is extremely unprofitable at the moment). The only reason why someone with an Obelisk SC1 would want to mine SiaClassic is because they don’t agree with the idea of the hard fork. If that is the case, buying and holding SiaClassic tokens might be more profitable than using an Obelisk miner. Who Really Lost Their Money? I have already mentioned in the main Sia Hard Fork article that before the hard fork, the majority of Sia hashrate used to be produced by big companies, namely Bitmain and Innosilicon. The latter was generating at least 50% of the pre-fork Sia network hashrate. Taking into account Bitmain, HalongMiner and other possible unknown mining giants, we could say for sure that the lion’s share of Antminer A3 and S11 SiaMaster units belong to corporations rather than to individuals. This probably means that David Vorick’s claim that ‘90% of the Sia mining community support the hard fork’ might be more accurate than some people might think. While I do not want to sound like I’ve got zero empathy for the common folk who invested into third-party miners, I do believe that big companies lost more money to the fork than individuals. Is this a good thing or a bad thing? Will you trust SIA after this fork? You decide. My duty as a blogger is to avoid taking sides. Regardless how we evaluate the ethical side of SIA team actions, I suppose we can all agree on the following – What happened with SIA is a great reminder that we should never invest more money than we can afford to lose. Sounds silly I know, though I keep seeing people who seem to forget that principle and then they complain on the forums that mining is a waste of money. It is not. Mining is risky, which means that risk management is imperative for anyone who wants to invest into mining equipment. Now, if done properly, mining is pretty rewarding. If you think that ASIC mining is too risky for your taste, GPU mining might be thing you are looking for. Despite popular belief, GPU mining is not dead and while it is not as profitable as it used to be during the cryptocurerncy market boom, it is still something I personally keep investing into. Akroma, Ravencoin, Monero and SUQA are one of the coins that people mine the most, so feel free to check them out.